Tips on Mains answer writing? Descriptive questions related to Feminism? Q. Writing case studies in a structure manner? 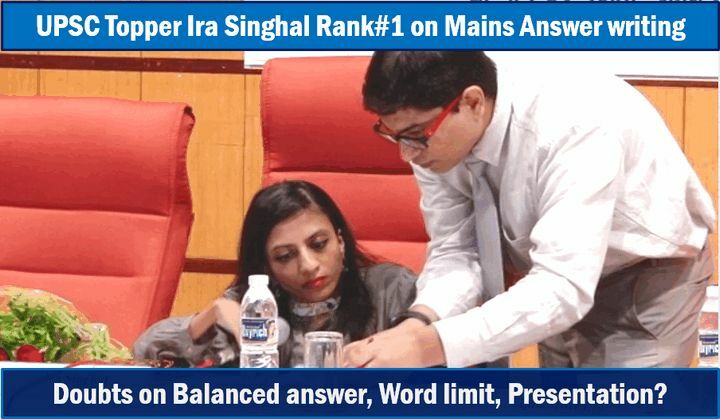 on 12th August 2015, UPSC first Ranker Ms.Ira Singhal came for a session at Sardar Patel institute of Public Administration (SPIPA), Ahmedabad. Following are the videos and transcripts of her interaction with aspirants of civil service exam wherein she discussed various aspects of mains preparation. In the next series of videos (to be published soon)- more on interview preparation, optional selection etc. Q.If asked about environment vs development in GS3- we can still write the ethical dimensions? 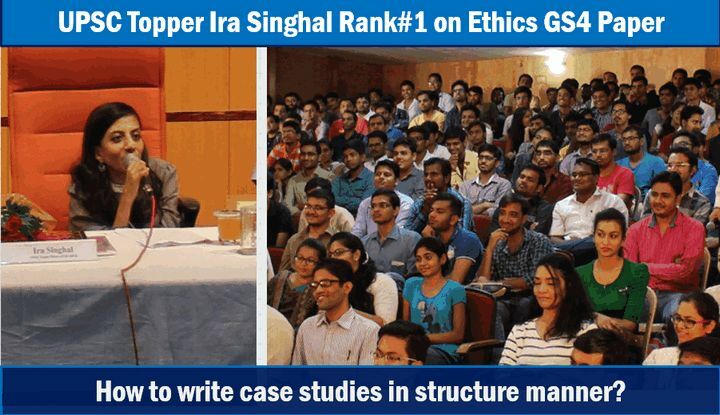 Ans.No need to confine the ethical perspectives only in GS4. You can put ethical perspectives in all papers. Same way in GS4, we can put economic and social dimensions. It is better not to pick up such questions in essay / ethics, if you’ve option to answer another question. Because you don’t know the gender of the evaluator. I discussed last year’s ethics paper with boys and girls, each wrote different answers. Even if the topic is close to your heart, but we may not be able to maintain rationality. Our end goal is to “pass” the exam. Never get overexited over topic. Q.In the Mains answer wordlimit, should we count the flow-chart and mindmaps? Ans. Question paper clearly says “content of the answer is more important than its length.” don’t worry about the wordlimit. It could have been a 150 words or 400 words, no matter as long as the points are concrete. Let’s go with rational assumption that a rational evaluator is going to check your answers. There’s a gap in our way of studies, we’re preparing in silos- history, economy, geography but you’ve to create a world in your head. Geography is the reason why History happened the way it did, so you can’t study in silos anymore. Q.What mistakes did you make in previous attempts? Ans. I performed bad in essay paper in first attempt. I could only see the mistake in my approach towards answer-writing after third attempt. Language matters but I didn’t build it within 4 attempts. I’ve read over 1500 novels since schooldays. I’ve not done any practice for mains answer writing, however you should do it, it can help. Q. How can we prepare ethics paper without coaching? because we know what is constitutionally right or wrong but how to put it in answer sheet? Ethics paper is asking about “you”. for example “what does happiness mean to you?” no coaching class can teach you that. Coaching will be detrimental here because even if you don’t belive in something, you’ll try to convenience the examiner about it. For remaining papers, it doesn’t matter, they’re factual or textual questions where your internal belief doesn’t matter much. You’ve to define yourself, be honest with yourself. There is no right or wrong answer here. You don’t need to practice for that exam, it should come from within. Yes, there is a structure of writing the case study -I’ll discuss that one. Example, if you dislike someone, find out why? First you deal with your own negative emotions. Approach: You’ve to do a stakeholder’s “pro-con” analysis. You analyse each option from each of above’s perspectives. In Rameshwar case study- only two stakeholders need to be discussed- (1) him (2) organization. Decision: Should Rameshwar quit or not? Person (Rameshwar) Can find better job wherein his talent is properly utilized. May be rendered jobless. Organization Unhappy employee is unproductive employee, better let him go. Money spent on his training, will be wasted. Difficult to find a new replacement person quickly. Ultimately, you should write the least selfish answer. I Didn’t really need to prepare much so no clue. Never did a single case study or read any other book. Can’t help much here. I handled Case Studies basis what I had learnt in Business School so there isn’t any one technique. Every question requires a different strategy. Some techniques you can google are – PESTEL, Stakeholder Analysis, Value Chain, SWOT and Pro-Con. In my 2010 attempt, I got only 90/200 marks in the essay paper. I had made mistake of picking an essay on “Geography may remain the same ; history need not”, because geography is my optional subject so I got excited. I wrote about evolution of landforms and everything. 10 out 12 pages I only wrote on geography. when I came out, I was super happy but after few days I realised it was unbalanced, because history wasn’t covered in sufficient length. In earlier three mains, I had content but presentation was bad / unbalanced, hence I lost marks. Essay should be written in paragraphs and not in bullet points. Feel free to use catch-phrases only if there are well known example “POSDCORB” in management field. Don’t invent your own catchphrases. Don’t pick philosophical or vague essays, unless you’ve philosophy as optional. Else, what you’re writing, may not connect with the examiner. Your essay must cover all aspects, give equal attention to all of them. But Don’ run in all directions, your essay must connect with the examiner in a structured manner. It shouldn’t look like fragmented ideas put together in paragraphs. Each paragraph should have some connection with the previous paragraph. You need to give concrete points. Wider view necessary than depth. Example, this years’ Panipat question was asked in history section but it was connected with geography and economy. They’re no longer asking straight-subject based questions. What matters is your ability to think and analyse. Better discuss with peers. Try listening to everyone, especially with devil’s advocates. I gave headings and subheadings. I made mindmaps, diagrams and maps (e.g. map of India showing important tourist destinations). I wrote about standardized test and tourism essay. 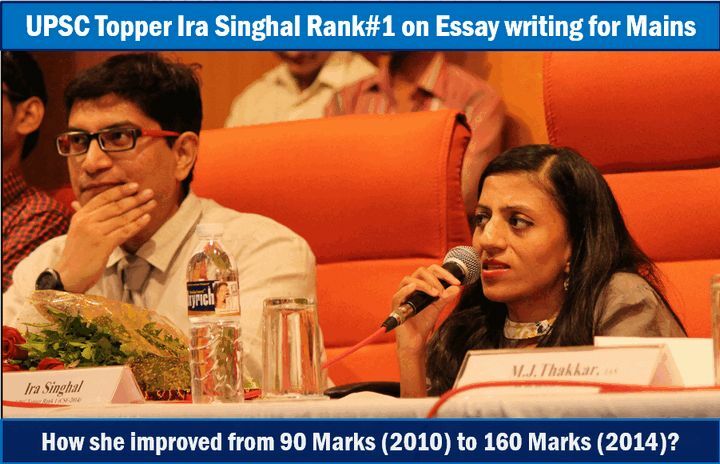 In Mains-2014, I wrote two essays (1) Are the standardized tests good measure of academic ability or progress? (2) Tourism: can this be the next big thing for India? Introduction and global scenario: Rising disposable incomes and stress-level making people go on vacation. Factors promoting global tourism like airlines, global hotel chains etc. Types of tourism- adventure, health, eco, green, family, etc. What sort of potential india has in each type- and map showing tourism sites. Benefits of tourism for our country -eco, social, infra, etc. What are the current gaps – infrastructure, mindset, safety issues, govt support, transport, maintenance, guides etc type stuff and how to fix it. Ans. I’ve never made notes, I study 15 days before exam, there is no time left for making notes. But Mrunal is doing brilliant job at it. Infact in GS3, I wrote many answers directly from his website. and I genuinely regret not having studied it properly. I did it on night before the exam. I wish he was there in my first attempt, I would have studied every page of it. I’ve 95 score in GS3, and I think 117 is the highest score. So, that’s mainly from his website, You don’t need to go outside his notes. Q. You said you don’t make notes but earlier you said you’ve read 35+ books for geography, so How did you manage to complete revision? Ans. There’s a problem in notes making- Whatever perspective you gain out it, you’ll just write that. But if you read same textbook thrice, you’ll get three perspectives. 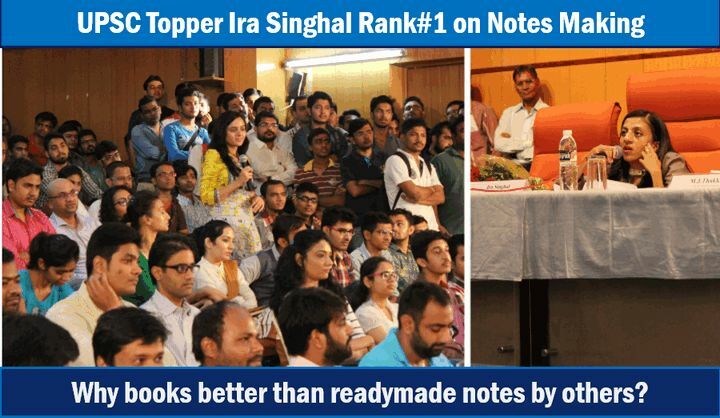 If you make notes, you’ve taken 1 perspective, then only that you’ll remember. For the first time, I read 35 books, then I found it which of them are useless. So next time, I only read limited books. As such I don’t make notes, I don’t do answer writing practice but in my first attmept, I had covered lot of ground, so It didnot take that much effort in this attempt. Last year, my friend gave me a note on a Government report. I read it, I didnot like it. Later on, I read full length report and realized, the note and the full report were entirely different from each other. I guess notes making works for most people, but it doesn’t work for me. Q. How do you keep updated in current affairs? I did Vision coaching current affairs. I think they copy paste articles from The Hindu but since I was too lazy to read the Hindu everyday, this worked for me. I did the C.A. right from December of 2013. Last year I did not do current affairs at all, but that was a big mistake. Q. Do you watch TV / documentary / debates? Ans. Except football, I don’t watch TV. Because I don’t want to produce someone else’s ideas. You may refer to AIR debates at night. But you won’t be able to cover all topics through debates. I prefer to get news from online resource, because it helps in ‘timepass’ also. Q. Please tell strategy for General studies preparation for Mains? Ans. I don’t have strategy because that takes lot of hard work, and once you’ve put hardwork you’re emotionally attached to it. Then its very tough to let it go. You’ll continue investing on it, even if its failing. I made an excel with all the topics, I read 3-4 sources for each topic, so I get general perspective for all topics, and you’ve to read government reports, and refer to ministry websites. In 2013, I read a lot of random things, this time I’ve focused on selected resources. Q. In GS mains paper-1, geography is becoming very tough. How should a non-Geography optional person should approach it? Ans. As such very few geography questions asked, but then again look at Art-Culture is also tough. You’ll have to prepare either culture or geography in detail. Although this year, Geography was not factual, If you’ve some idea, you could write something. But at the same time, don’t bluff. Last year (Mains-2013) IT Act section 66-A was asked, I mistook it for income tax act and wrote entirely bluff-answer. Please don’t do that. Let’s respect the intelligence of the examiner. Subscribe to youtube.com/user/TheMrunalPatel For more lectures on UPSC General Studies preparation. I want to start IAS preparation 2016-2017 so please guide me how to start. I have done BE (ECE) in 2014. Write now I am working as engineer post in private company. Namestey sir, my self satish …. I want to join civil services . I m a soldier and serving in navy . now I m doing graduation 2and year . I am studying ncert books for the basic domain in eng med which is almost complete . my op sub would be politics bcoz of my interest. Plz tell me sir where should I got the proper guide lines , I can’t go for coaching class or other sources . list of books and stuffs . …. Thank u sir ……..
Congratulations mam ! I am preparing for ias exam. Can you give me some important tips for this. heloo mem , congo. for ur big achievement…. i m start preparation for civil service so pls encourage me and give some tips bcs m very confused ,how v’ll start it…which point….??? Do they ask for final year marksheet during mains??? Hi sir! Namste. First of all I render sincere gratitude to you for the great job you are doing. I want to take up upsc exams 2016 seriously. I want opt history for mains. Suggest me specific books which can help in mains as well as preliminary exam. “Simplicity is the Glory of expression ” .you are very simple person, thanks for your tips. 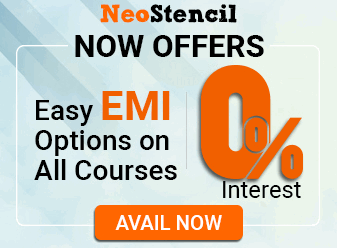 Hello Ma’am, I am going to start the preparation for IAS Examination But How to start? Amazing dideeee…..you are such a wonderful guy.Hats off to you. Plz suggest me mera hons paper zoology h ar mai part 1 ki student hun civil exam ki tayyari k liye kya mujhe subject badal lena chahiye . Plz plz suggest me sir I am in dilemma. I am a simple student name Ashish Kumar Singh I belonged to a farmer’s family . My Aim is IAS and I don’t know more about IAS so plz tell me Sir\Madam how we get our aim . And I sure you think about me less one time so plz help me my email id is – [email protected] and whatsaap no is 9125915616 . I welcome your thoughts . ma’m,iam loco motor disability . IS EXTRA TIME IN UPSC? Diagrams explanation is compulsory in mains exam of upsc or not.